Dorinne Davis, MA, CCC-A, FAAA, RCTC, BARA, is the President/Founder of The Davis Center, Succasunna, NJ. She is the author of 6 books: Say It With Sound: Hum, Harmonize and Heal (A Self-Wellness Approach to maintaining wellness), The Cycle of Sound: A Missing Energetic Link, (Introducing a new subtle energy system and Ototoning) Sound Bodies through Sound Therapy® (hailed as the primer for all sound therapies),Every Day A Miracle: Success Stories with Sound Therapy® (16 heartwarming stories of sound therapy successes), Otitis Media: Coping With The Effects In The Classroom (A teacher’s compendium of classroom activities and responses), and A Parent’s Guide to Middle Ear Infections (An informational book for parents). She has demonstrated the scientific principles behind the Voice-Ear-Brain Connection in The Davis Addendum® to The Tomatis Effect, and established The Tree of Sound Enhancement Therapy® from which her Diagnostic Evaluation for Therapy Protocol (DETP®) provides the correct administration of any sound-based therapy. Ms. Davis is credentialed in 21 different sound-based therapies and her background as an audiologist, educator and sound therapist provides the foundation to The Davis Center’s unique “Total Person” approach. The Davis Center is considered the world’s premier sound therapy center and Ms. Davis is recognized as the world’s leading sound-based therapist. She has worked with thousands of people, young and old, learning challenged and normal, making change with their response to sound using sound-based therapies and has received numerous awards and honors as a leader and business woman. Her Davis Model of Sound Intervention has become a foundational approach to helping the body make appropriate change with sound-based therapies, and supports the best way to balance the subtle energy system known as The Voice-Ear-Brain Connection. After 24 years, Ms. Davis semi-retired and closed The Davis Center as it was known. The Davis Center will continue to operate solely as Ms. Davis’ time permits. She will continue offering her DETP® so that individuals will be able to receive the correct sound-based therapies in the most appropriate sequence if more than one is identified as necessary. She will also offer follow up testing as needed as well as administer two sound-based therapies only—BioAcoustics and Cymatherapy®. However, Ms. Davis’ knowledge comes from her background in the various known sound-based therapies. Ms. Davis was trained as an Auditory Integration Training (AIT) practitioner by Dr. Berard (the founder of AIT) in 1992, was certified as a Berard Instructor of AIT by Dr. Berard, was one of the original 50 members of the International Association of Berard Practitioners (IABP), and was asked by Dr. Berard to take on the administration of the IABP, prior to its disbandment. Dr. Berard gave Ms. Davis special credentials to work with children under the age of 3 who can benefit from AIT because of her audiological area of expertise. Ms. Davis’ research has also identified that AIT retrains the acoustic reflex muscle in the middle ear, allowing better transmission of ‘clearer’ sound to the cochlea and subsequently to the brain for comprehension. She was voted to be one of the founding 12 members of the AIT-Pro Steering Committee to establish a foundation for AIT professionals world wide. She is also a member of the current Berard AIT Practitioners group and holds the Certification Mark distinguishing her as a Certified Berard AIT Practitioner. 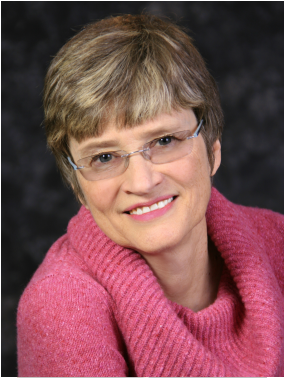 Her mentorship in the Tomatis® Method started in 1998 with Dr. Billie Thompson. Her Tomatis® Certification came in 2000 when she trained in Paris, France with the Tomatis Developpement Corporation. She subsequently was one of the founding members of the International Association of Registered Certified Tomatis Consultants. Since that time she has also become credentialed in the EnListen method for sound integration. Also in 1999 her affiliation with Ms. Sharry Edwards, the founder of the science of Human BioAcoustics™, began. With the knowledge of how BioAcoustics worked, Ms. Davis began research into the spontaneous otoacoustic emissions of the ear. This research led to the establishment of The Davis Addendum to the Tomatis Effect, a series of 2 laws presented at the Acoustical Society of America in 2004 that further supported a connection between the voice, the ear, and the brain first identified by Dr. Alfred Tomatis in The Tomatis Effect, a series of 3 laws established in 1957 at the French Academie of Science. ®Additionally Ms. Davis is certified, credentialed, or trained in the following additional sound-based therapies: Solisten™, Fast ForWord®, Interactive Metronome®, LiFT®, Digital Auditory Aerobics®, EnListen®, JoEE®-h, JoEE®-v, HiFi Brain Fitness®, The Listening Program®, Samonas® I, Therapeutic Listening, EaSE™, Dynamic Listening System®, REI®, Lindamood-Bell Learning Processes Program, Cymatherapy® and Medical Resonance Therapy Music®. She also holds 5 different NJ Department of Education certifications and listed in over 55 Who’s Who Directories. She taught 25 years in public education and for years as an adjunct professor at Kean University, William Paterson University, The State College of NJ, and Central Michigan University. Dorinne Davis is an international speaker in the field of sound therapy. She was the Key Note presenter at the International Sound Healing Conference in Atlanta, GA in November 2011. She has also presented at many sound healing conferences such as the International Sound Healing Conference in 2006 in Santa Fe, New Mexico and the World Sound Healing Conference in 2007 San Francisco, California as well as conferences related to learning and medical challenges including issues of autism, AD/HD, Williams syndrome, learning disabilities, dyslexia, chromosome imbalances, adoption, and more. She has presented in England, The Netherlands, Greece, Australia, Korea, Spain, Austria, China, and Russia. The Davis Addendum to the Tomatis Effect was introduced to the United States in 2004 to Europe at the PAN European Voice Conference in the Netherlands in August 2007. The Davis Model of Sound Intervention was introduced in 2008 and the Voice-Ear-Brain Connection in 2012 at the ISSEEEM conference. The latter was introduced as a previously unknown subtle energy system..
Ms. Davis was asked to establish a radio show for AutismOne.org entitled, “Sound Effects with Dorinne Davis, discussing how Sound Affects the Person with Autism” was played and archived on www.autismone.org. Following up on this, she was asked to do a radio show on cbs radio called "Sound Effects with Dorinne Davis" on www.newskyradio.com. These programs are now archived. For current information about Dorinne Davis's upcoming events, click on Events.